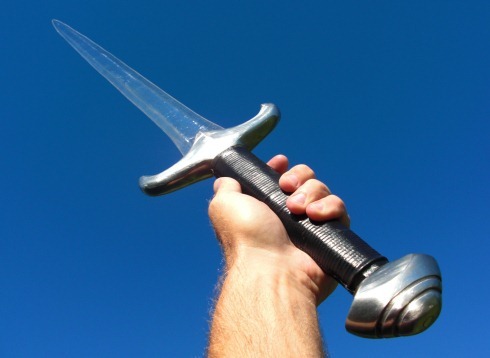 The Carpathian Vampire Sword designed by Jason Woodard and brought to life by Darksword Armory is the first fully functional fantasy sword of this genre. 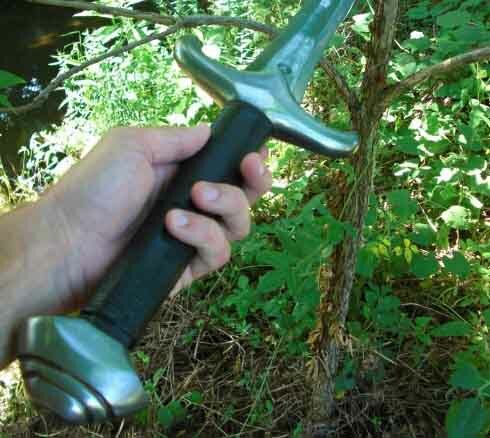 In this hands on review by none other by the designer himself, Jason takes a close look at this sinister looking sword and puts it to the test to see how it holds up - after all - what self respecting Vampire would want a sword that was not able to withstand the rigours of battling the human hordes..
We all know (or should know) just how cool vampires are - so what could be cooler than creating a fully functional Vampire Sword? For me, not much - because for as long as I can remember I've been into Vampires: Vampire movies, Vampire books and of course, Vampire Swords - many, many years before it became "cool" and "hip" (I mean, a few T-ween Vamp stories out today have Vampires shining like "pretty diamonds" or cute gem stones when sunlight hits them, and all I can say to that is - WTF!?!?!). Anyway, moving on - I did some design work on a Vampire dagger about 8 years ago and always wanted to do a design based on Vampire folk lore, and the area most famous for their stories.. Romania, or more specifically, the Carpathian mountains.. I wanted a two hand sword that looked somewhat medieval, yet had a bit of a fang design in the guard - but above all, I wanted this design to be as functional as possible. I wanted my design to have beyond great balance, less weight and toughness all in one!! It took me over 20 times to rework the design, and when it looked right to me, I sent my design to Darksword-Armory.. DSA and Eyal took great pains to make my design come to life - and we worked together to make it as best as it could be. As most of you know with each new run of swords that DSA makes, they keep improving their swords. 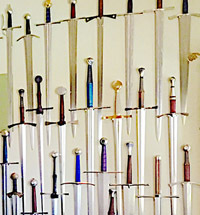 Peened pommels, greater balance, better grips, some lighter blades, a higher polish on the blades, better scabbards and so on – so I was expecting they would definitely do my vision justice, and soon enough, I had received one of the first swords..
After removing the heavy packing and oil from the blade I was able to really look my new sword design over.. All I can say is - great job DSA! 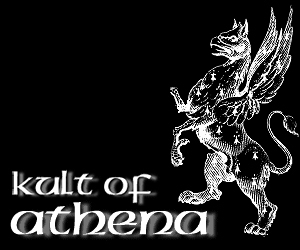 My Carpathian design is alive! This is my favorite from DSA now, not only because of the overall design, but it’s balance, which is only one inch from the blade. That's right I said one inch!!! The only thing I don’t really like about it is that the guard feels a bit too thick and chunky, but it is this thickness combined with the long two handed grip that gives it such great balance. The two handed grip is new with a very tight wrapped core under fine black leather. 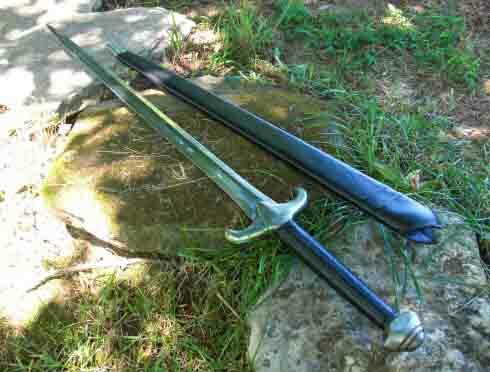 The blade is forged with a Germanic type leaf blade and vampire fangs at the guard..
DSA was able to incorporate my design for a wide fuller all the way down the blade to help bring the overall weight down, though at 3lbs 12oz it is still quite a beast! 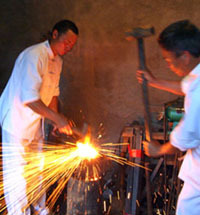 The blade is 1060 high Carbon steel with a Rockwell hardness of 53 and forge hammered. I just love seeing the hand hammered forged marks when you hold the blade at a lower angle..
My pommel design for this sword is fully peened with a good unique shape and solid. It could be used as a blunt weapon at any time, like a mace.. 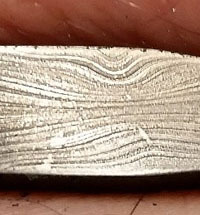 Among the improvements DSA has worked on of late is to narrow down the edge, making it easier and faster to sharpen if you want to use it as a cutter. While they have a sharpening service, I found it was much easier than before to sharpen than previous DSA models, taking this Vampire sword from a blunt edge to very sharp in less than forty five minutes. Once I had my Carpathian sharped to my liking I was ready to do some testing! I set up some gallon jugs. The sword made very clean cuts. It took much less muscle than I would have thought.. This sword is fast!! The recovery is quick. You can make one handed cuts with minimal stress on the wrist.. I then lined up 5 or 6 gallon jugs for a one swing cut test.. The sword cut through the jug like butter! I'm sure I could have lined up 10 or 12 jugs an made another cut with the same results. Yeah, it's that good. For the next test. I filled a galvanized trash can with water. I performed several stabbing and slashing tests. 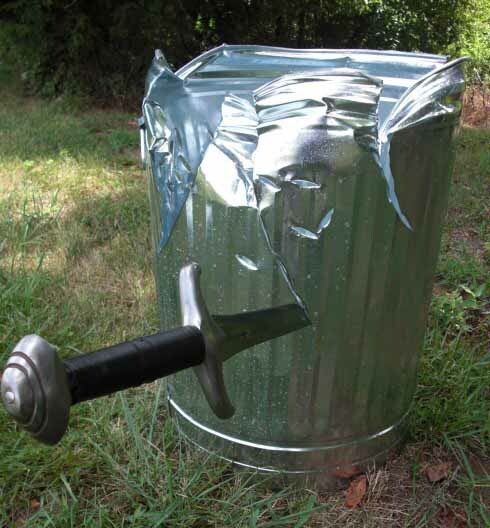 The sword made deep cuts and stabbing the can was all too easy! 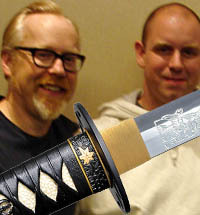 After this test I made a close inspection of the tip and blade. I found no rolling of the edge or bending at the tip. A good sign of fine tempering from DSA. For my last test, the target was a 2x4 piece of building wood. 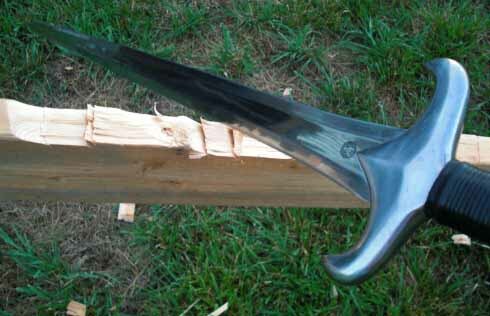 I made several hard downward swings cutting deep into the wood over and over again, removing several large chunks. 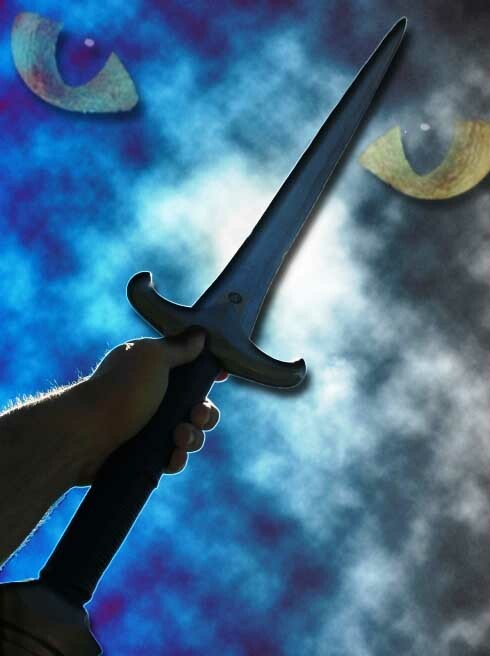 The sword performs as well as it looks.. 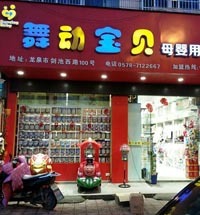 I'm very happy with the over all out come. 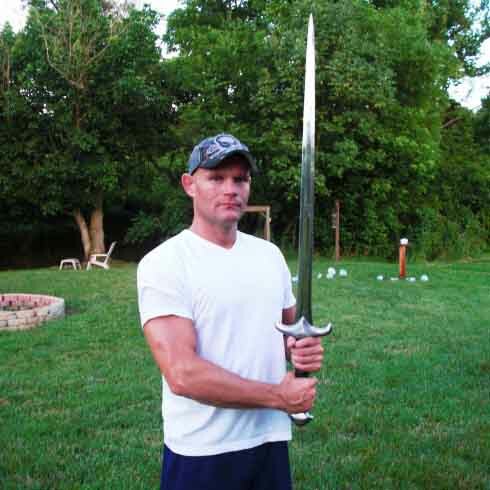 If your looking for a well balanced two handed sword that can take just about anything you can dish out, my Carpathian Vampire Sword is for you. Thank you Darksword-Armory for bring another one of my designs to life.. Capable of delivering extremely powerful blows, yet still quite fast. 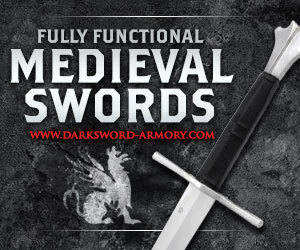 There are a couple of places we recommend you can get Darksword Armory Swords - which one you decide upon depends upon your location and intended use. 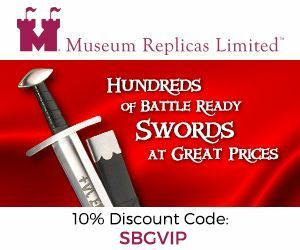 If you are in North America (USA and Canada) we stock a selected range of Darksword Armory Blades with the premium quality scabbards and sharpening service upgrades as standard here at the SBG Sword Store. 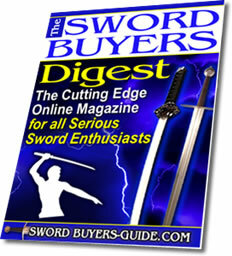 This way you the latest version of this sword guaranteed and also get FREE SHIPPING! 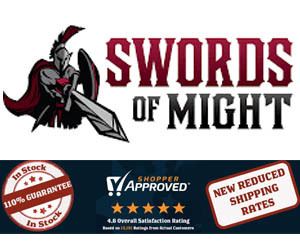 If you are based outside of North America or want the unsharpened version or basic scabbard option, check out the range of Darksword blades here at our friends at Kult of Athena. 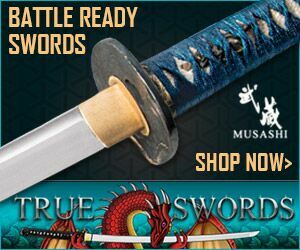 More options, but you do have to pay for shipping (these days we don't offer ANY unsharpened swords at our store, so do not offer the blunt version).